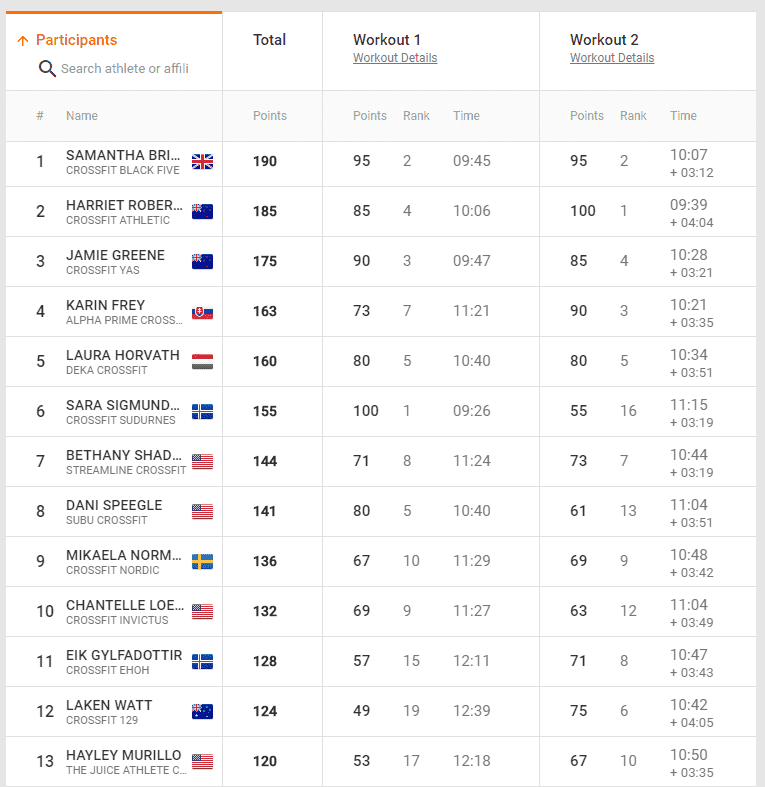 With 2 second place finishes, Sam Briggs has secured the top spot for herself after the first two events at The Dubai CrossFit Championship. 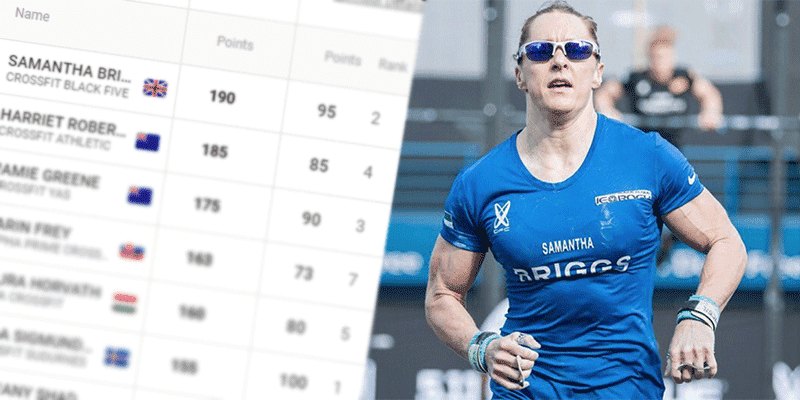 After recovering from a serious injury earlier in the year, Sam Briggs competed in the Masters division at the 2018 CrossFit Games, where Anna Tobias took the win. She has fought hard to regain her fitness, and the Engine is clearly keen to make her mark as we move forward into a new era of CrossFit. The Dubai CrossFit Championship is stacked full of CrossFit Games athletes such as Laura Horvath, Sara Sigmundsdottir, Bethany Shadburne, Jamie Greene and Eik Gylfadottir among others. Notable is the sterling work of young Slovak athlete Karin Frey, currently in 4th position with 7th and 3rd place finishes so far. Conditions in the sea were rough, with a large swell producing large waves that athletes had to battle through.